Effective marketing is the key to selling your home quickly and getting the highest price. Aggressive, effective marketing of my Client's homes by every available medium is how I've become a top real estate agent in the Kearny area. It's my job to assure that you get as many qualified offers as possible, allowing you to extract the highest price the market will bear. One of the most important elements of marketing your home effectively is setting the price right. Set the price too high, and you won't get any offers and your home will take too long to sell. Set it too low and you cheat yourself by not getting your home's full, fair value. 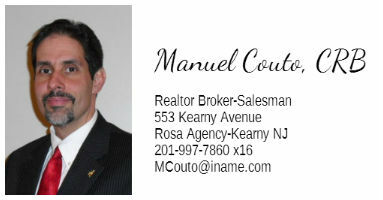 As an expert in Kearny area real estate, I analyze the market and set area home prices every single day. I'll work closely with you to assure that everything possible is done to get the highest price, in the time frame you need.